So, I am sitting in my new home, in my new “room,” trying to write a new blog post. I need to tell you more about Albuquerque: how the university is surrounded by ivy-league school named streets (doesn’t that bother the students? ), what a sopapilla is and why you should rush to New Mexico to try one, and how there are exercise machines in the the middle of their street parks. I need to tell you what town we stopped at in Texas, what our campsite looked like in Oklahoma, and especially what we encountered when we used the park’s bathroom. Perhaps I am unmotivated. Or tired. Or creativity-deficient. I am staring at a bunch of Ghanaian fabric I have thrown over a rope that is acting like the a door to my room. I am thinking about how I need to tack another sheet to the ceiling so I can really get some privacy. I am also missing Nicole, who is starting a new chapter in her life as well, having just moved to Manhattan to get her Masters at Columbia. She wants me to live with her, but my new room has a fireplace. So for now, I am going to tackle this door situation. For your viewing pleasure, below are some pictures my cousin Rich sent me. The first is in response to one of my previous posts, where I mentioned how Nic and I did not make it to the Colorado Sand Dunes. 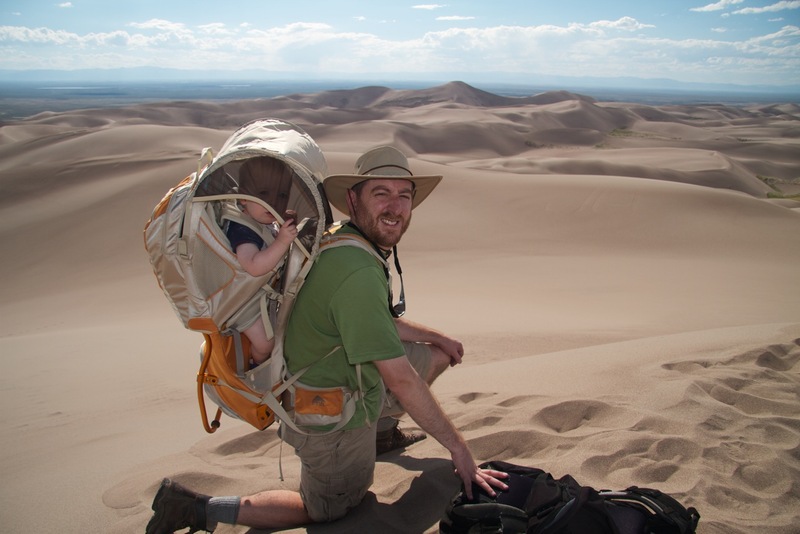 He happily sent me an email with the subject line “here is what you missed.” It’s a picture of him and his son. 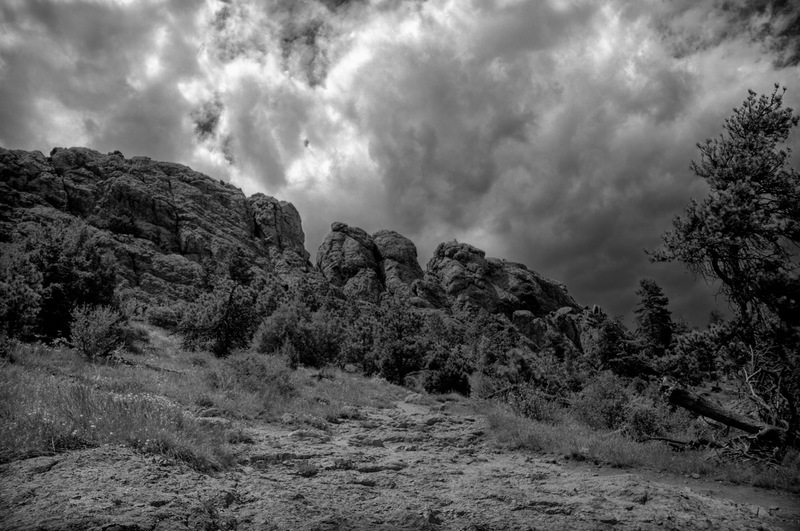 And the second-a photo he edited of our hike together to Horsetooth. You can see how the summit resembles a horsetooth, hence its name. Oh, and here is a link about sopapillas incase I never get around to it!